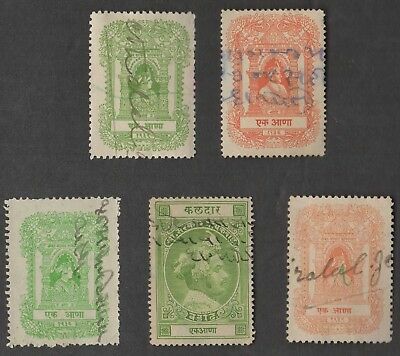 India KGVI 10 to 25 rupees overprinted Gwalior mint o.g. 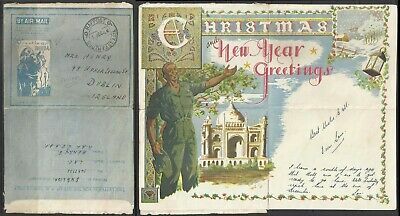 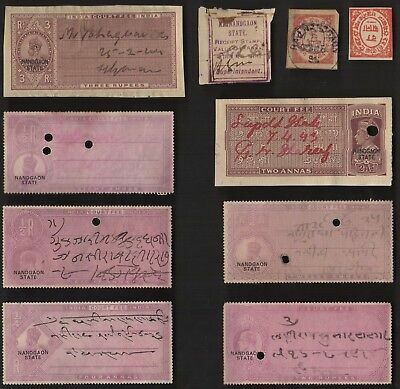 India KGVI Officials 1/2 anna to 10 rupees overprinted SERVICE mint o.g. 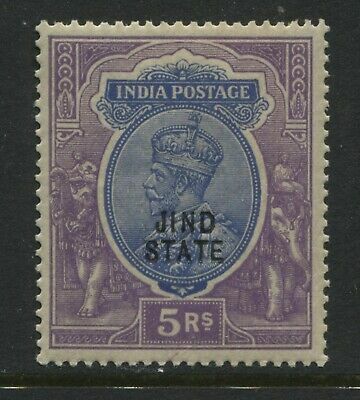 India KGV 1927 overprinted Jind State 5 rupees mint o.g. 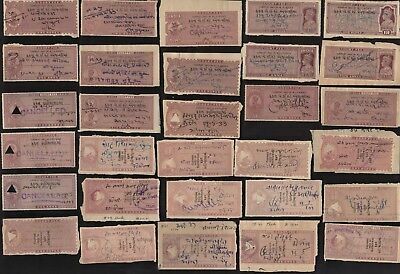 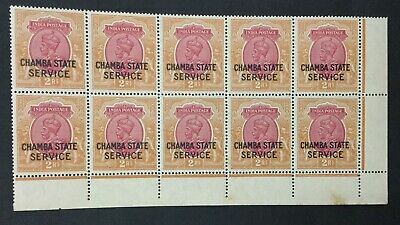 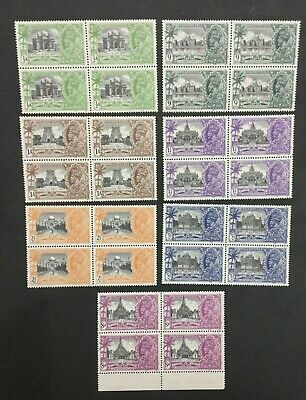 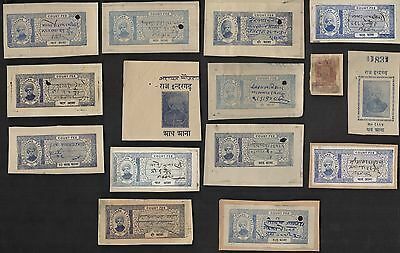 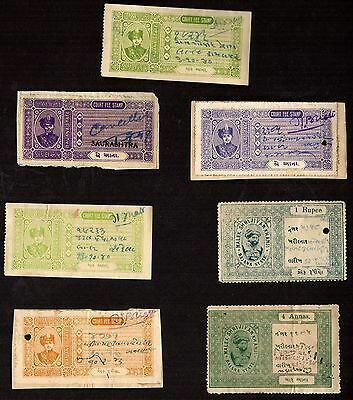 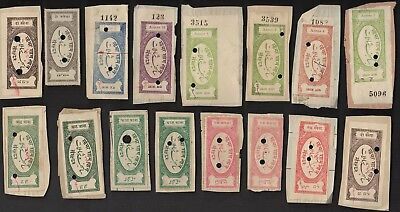 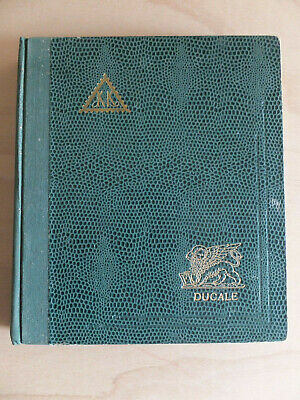 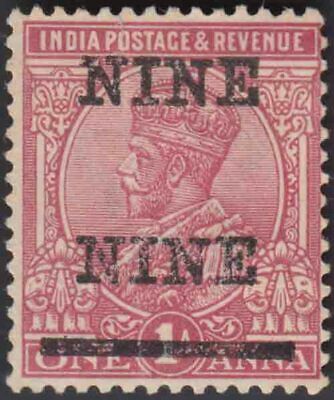 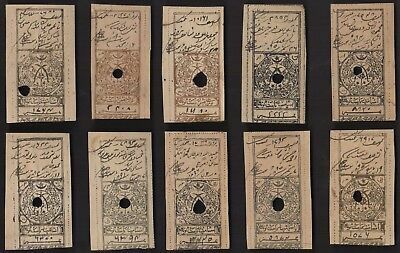 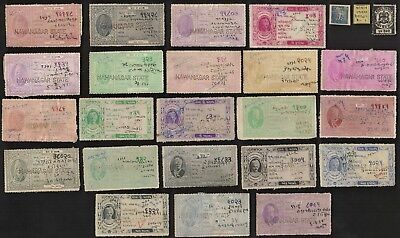 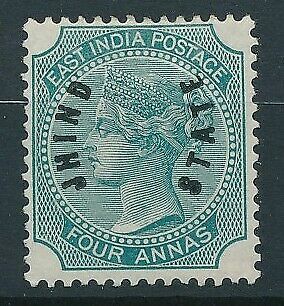 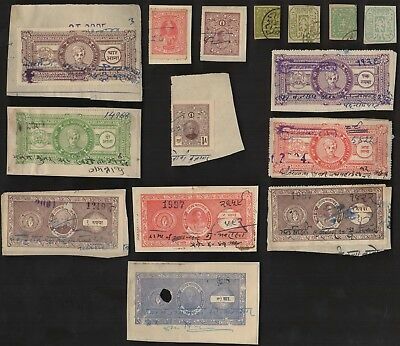 India KGV 1913 overprinted Chamba State various 1 to 6 annas mint o.g. 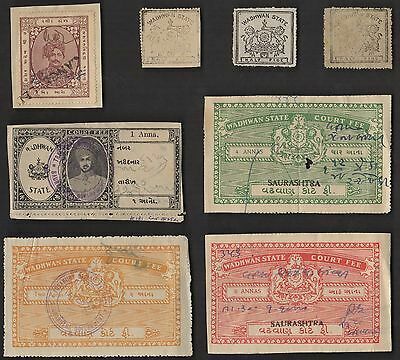 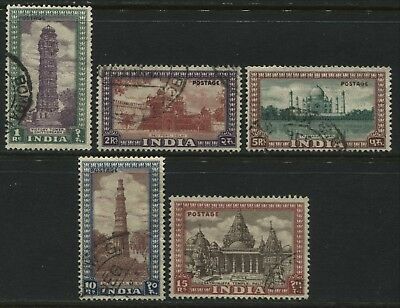 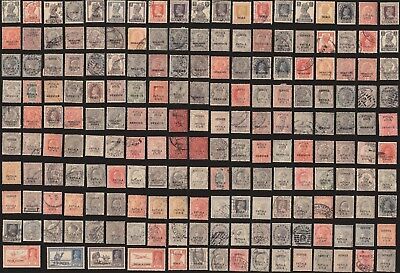 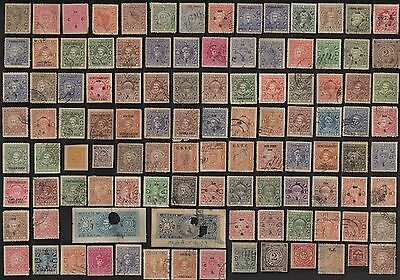 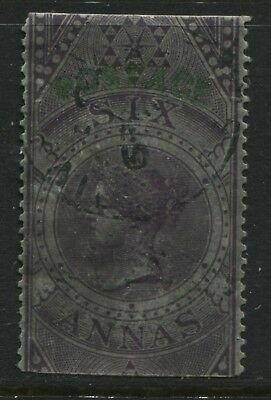 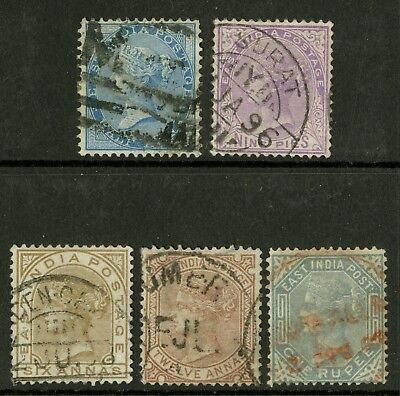 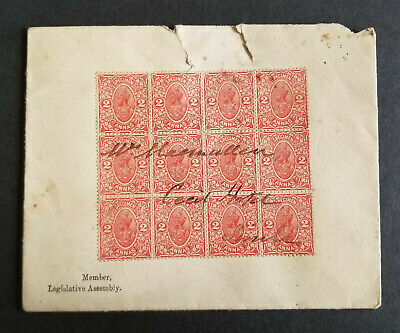 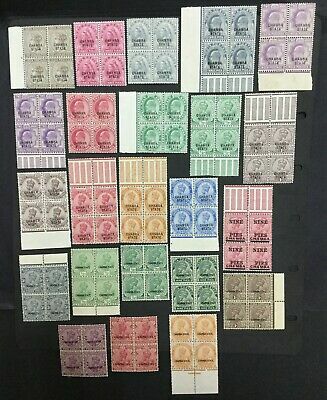 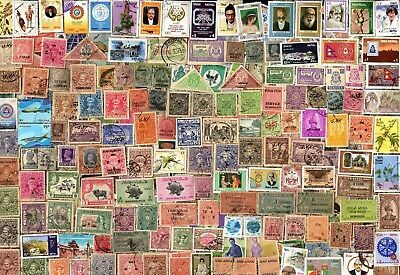 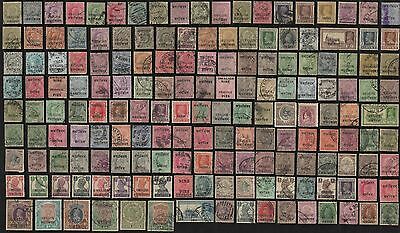 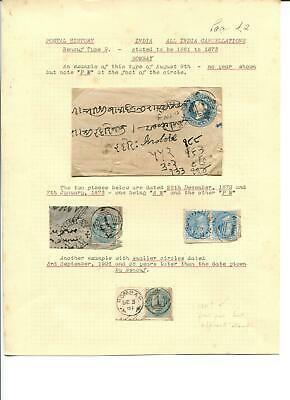 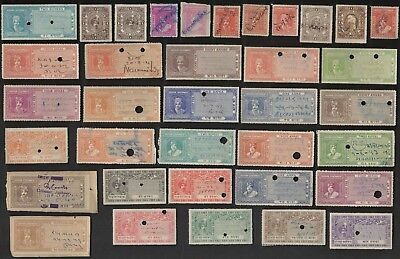 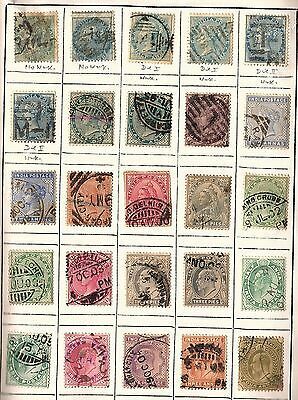 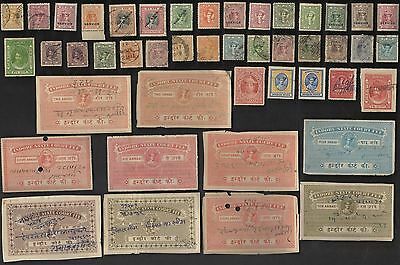 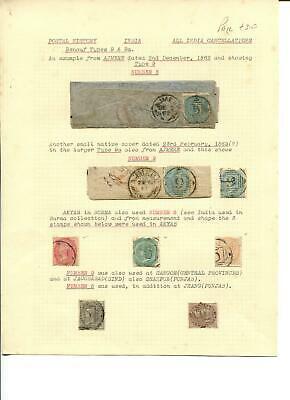 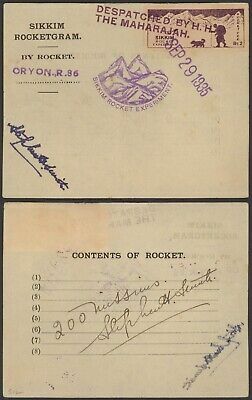 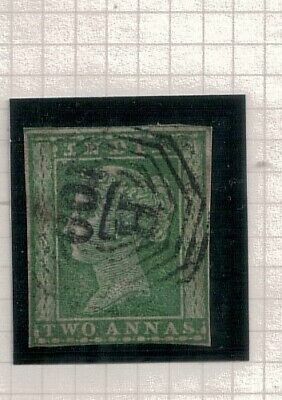 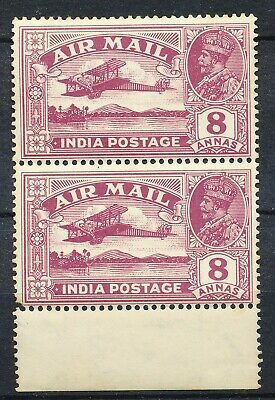 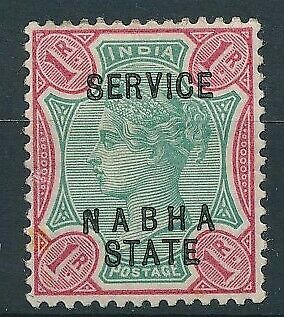 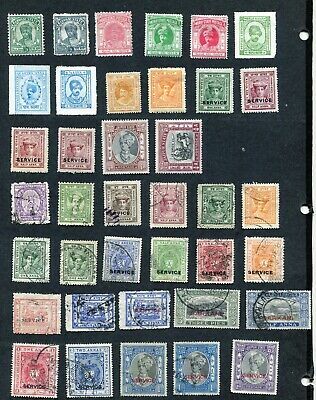 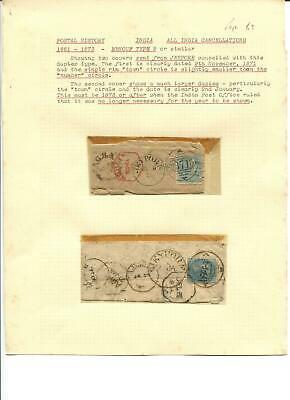 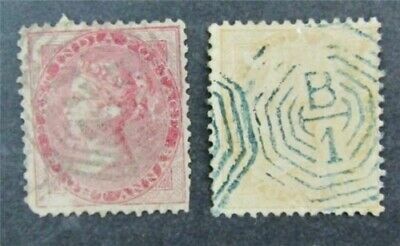 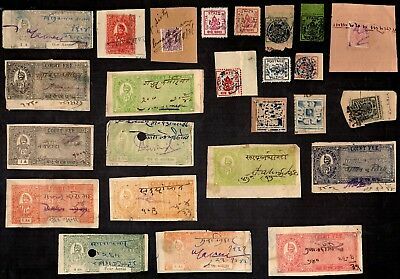 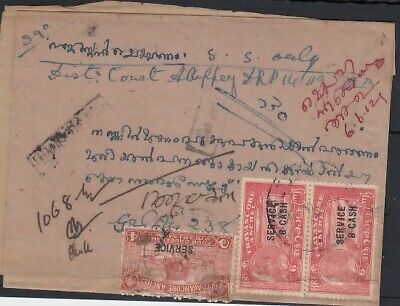 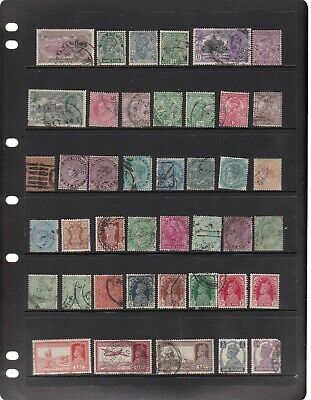 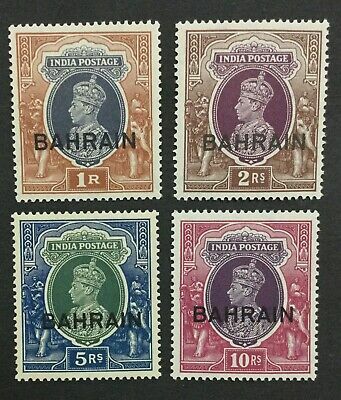 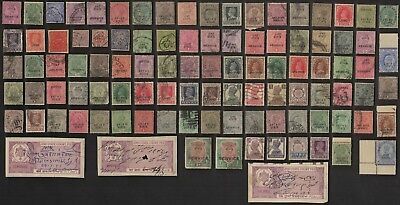 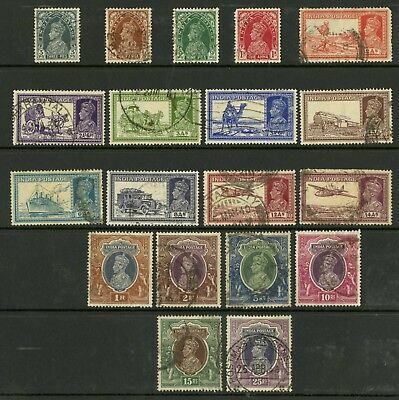 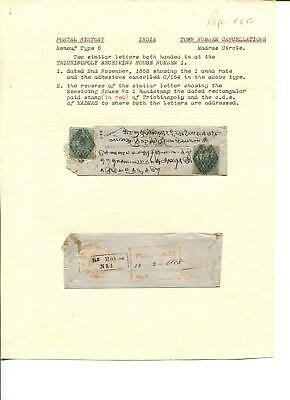 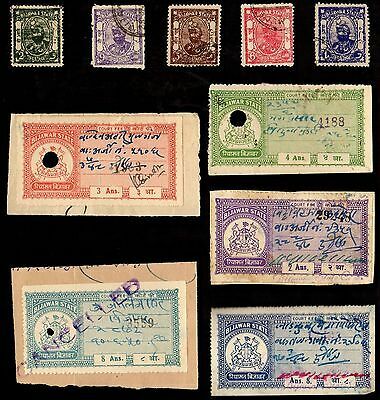 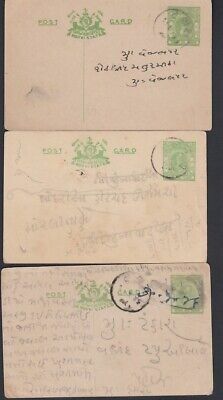 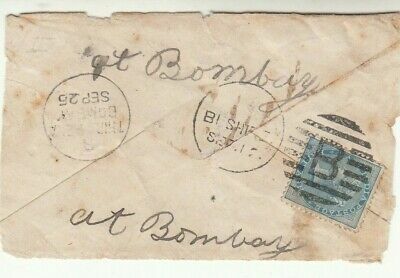 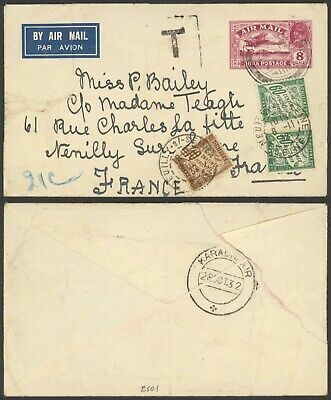 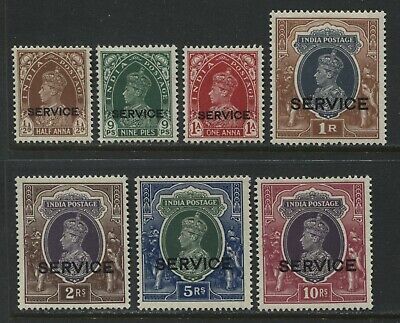 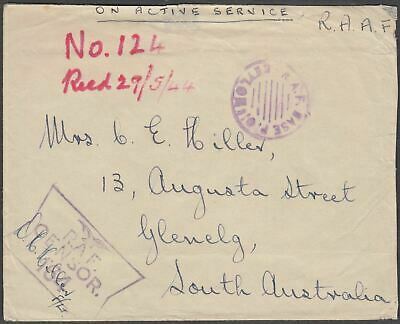 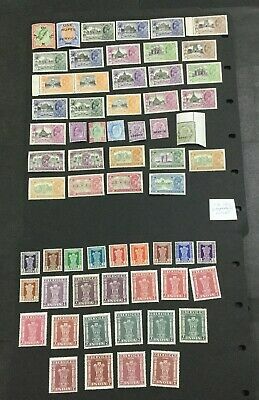 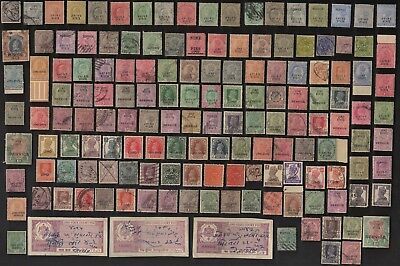 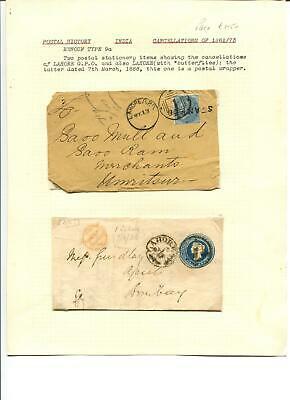 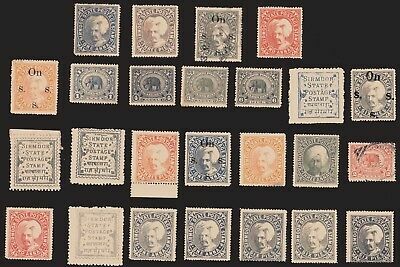 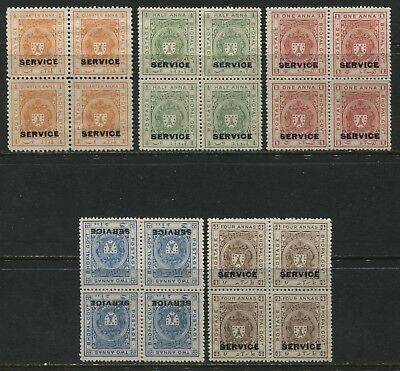 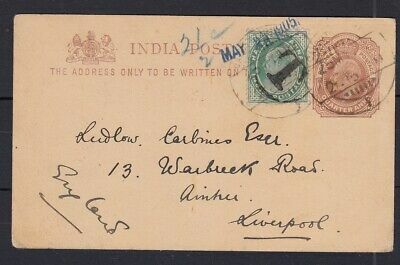 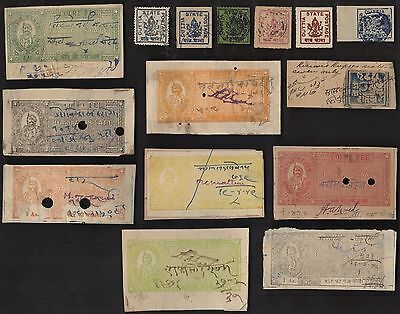 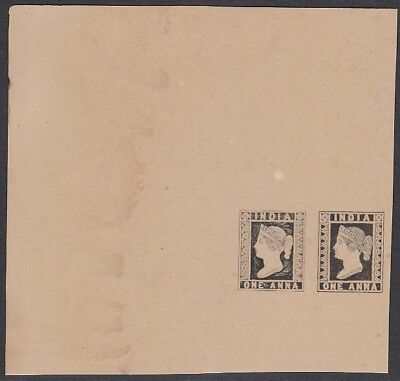 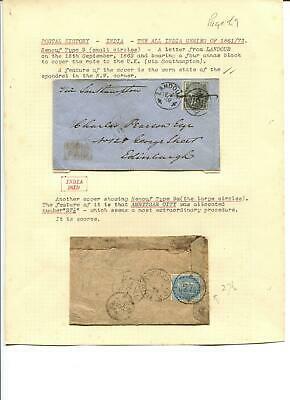 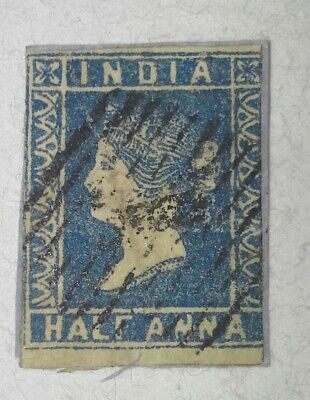 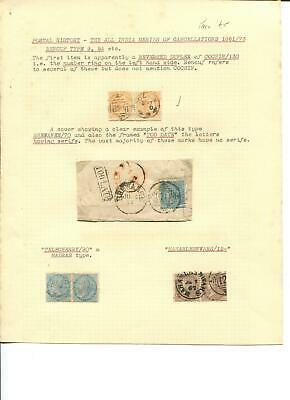 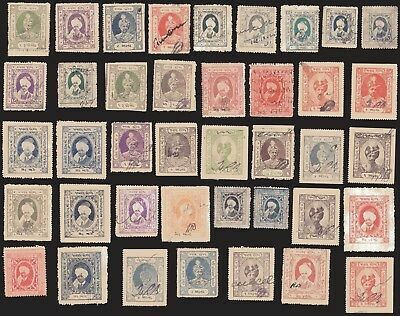 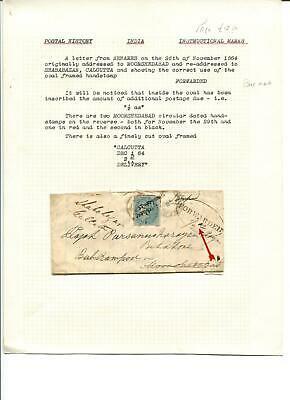 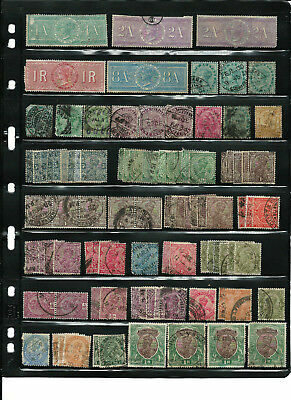 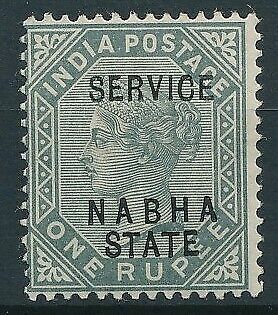 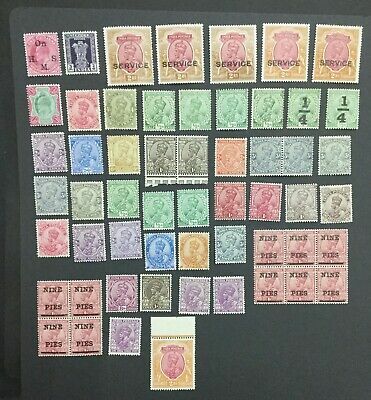 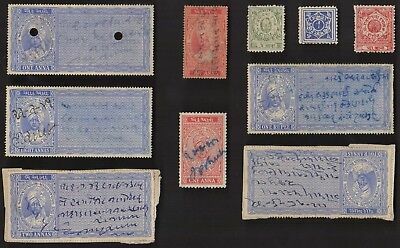 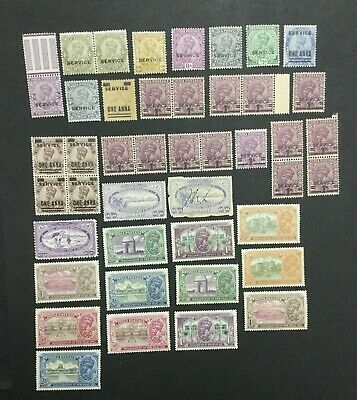 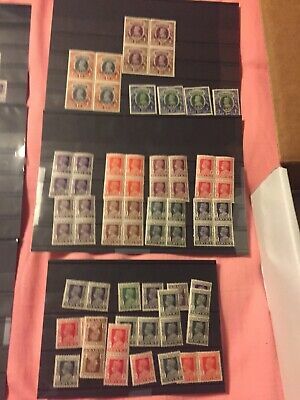 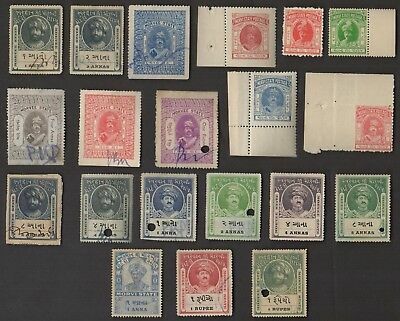 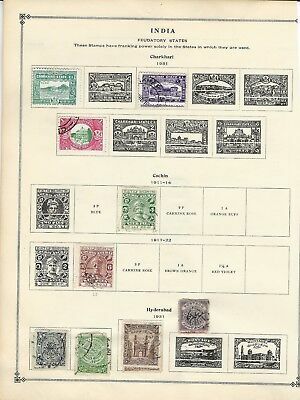 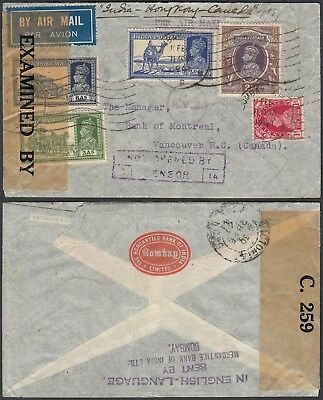 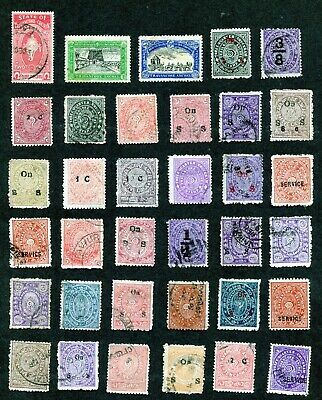 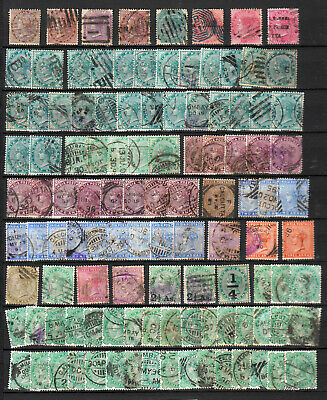 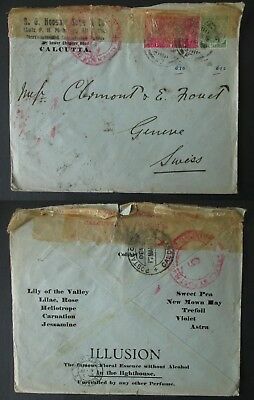 INDIA , 1895 , HIGH DEFINITIVES overprinted : POSTAL SERVICE , USED , LOOK ! 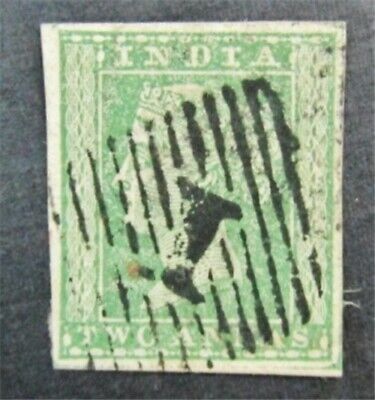 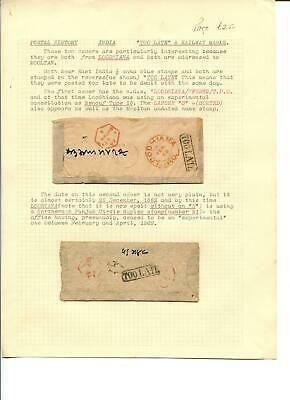 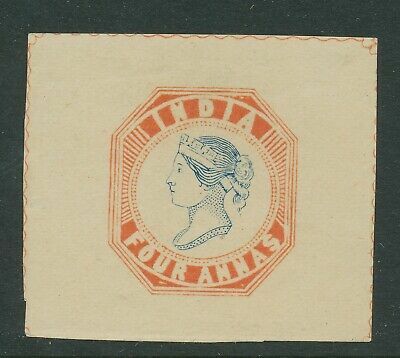 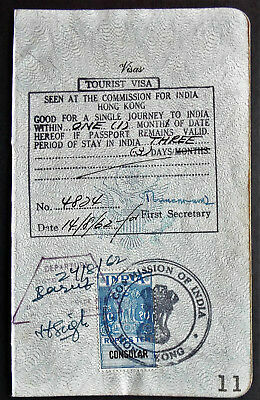 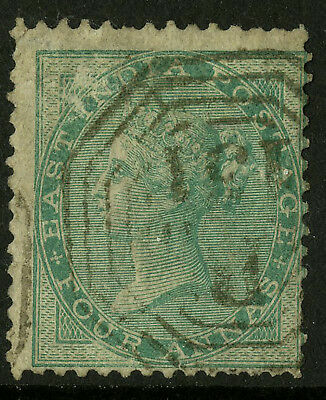 India Lithographic transfer of Hausburg's PROOF of 1as (Spence 55,position 1,2).